Borrowers with a high debt-to-income ratio now have more leeway than since the subprime mortgage meltdown of a decade ago. Your debt-to-income ratio, or DTI, is the percentage of monthly income you pay toward your monthly debts, including a new mortgage payment. It’s a key factor — along with your credit — that lenders use to determine whether you can repay a loan. The more debt you have, the higher your DTI ratio — and that’s a red flag for lenders evaluating your potential for risk. Raising DTI limits is just one way lenders have made it easier to get a mortgage. LTV ratio increases help borrowers who don’t have a large down payment. 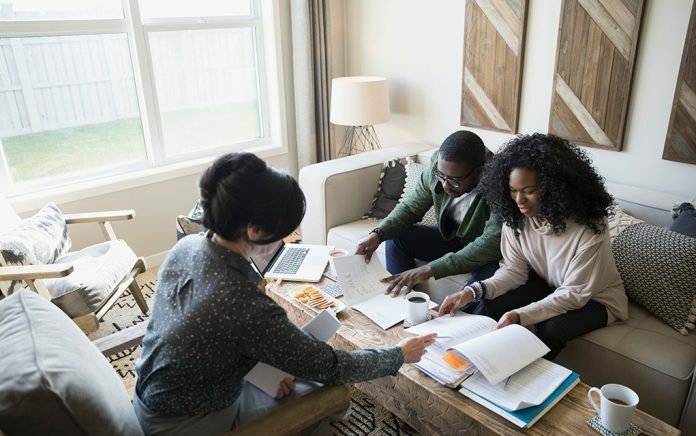 However, you’ll pay private mortgage insurance when you put less than 20 percent down — and you might not be able to borrow as much as you need to buy a home. Borrowers who don’t fit into a pristine credit box now have more options, Joel Kan, associate vice president of industry surveys and forecasting with the Mortgage Bankers Association. There’s more balance to the lending equation nowadays after the regulatory pendulum swung too far in the opposite direction — a move that shut out otherwise capable borrowers, Kan says. The share of new, conventional conforming home-loans with a DTI ratio above 45 percent spiked after Fannie Mae raised its DTI limit, according to research from CoreLogic. From early 2012 up until last summer, the share of these high DTI loans held steady between 5 percent to 7 percent. In the first quarter of 2018, that share nearly tripled, jumping to 20 percent, CoreLogic found. The average DTI ratio for these home loans rose by two points to nearly 37 percent from Q1 2017 to Q1 2018. Even as high DTI loans gain popularity, lenders haven’t budged on credit score standards. Borrowers’ average credit score for conventional, conforming purchase loans remained unchanged at 755 in the first quarter of 2018 compared to the same period a year ago, CoreLogic found. That’s significantly higher than homebuyers’ average credit score of 705 in 2001 — before the downturn.